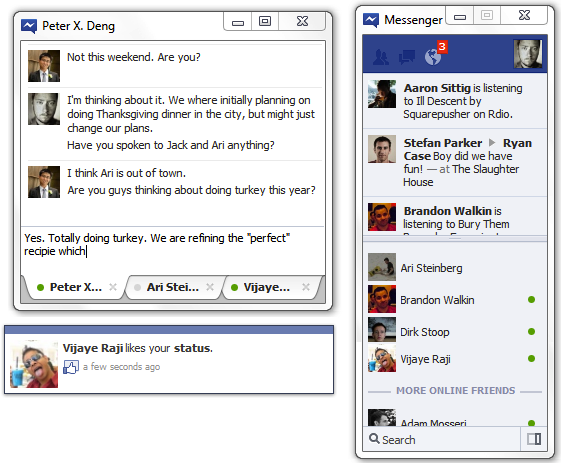 Facebook just released its desktop client for Facebook Messenger. It’s currently only available for Windows users, although the company confirmed that a Mac-friendly version is on its way, too. I personally don’t use Facebook Messenger for much at all (and I’m on a Mac), but this will no doubt be welcome to those who use the social network to stay in touch with their friends on a day-to-day basis. The tabbed chat boxes also looks particularly useful. Facebook Chat for Windows is available now for free. With users already spending a record breaking amount of time on Facebook, the creation and release of dedicated chat clients which allow the use of core features will no doubt go some way to increasing that active time. You can download Facebook Messenger for Windows by heading over to this link. If you use Facebook mobile on your device, you might be a frequent user of its messaging service. 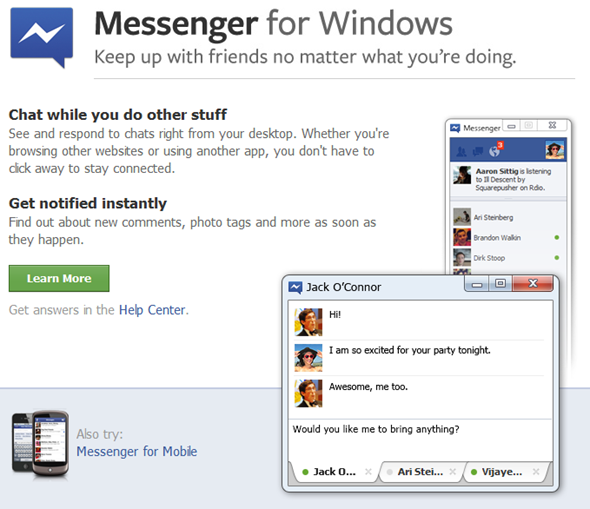 If so, you might become the newest fan of Facebook’s just-released standalone messaging app for both Android and iPhone.